SONOMA MAGAZINE - There was a time when wine country and kids didn’t mix. Parents in search of a weekend getaway had to line up grandparents to hold down the fort while they were away. 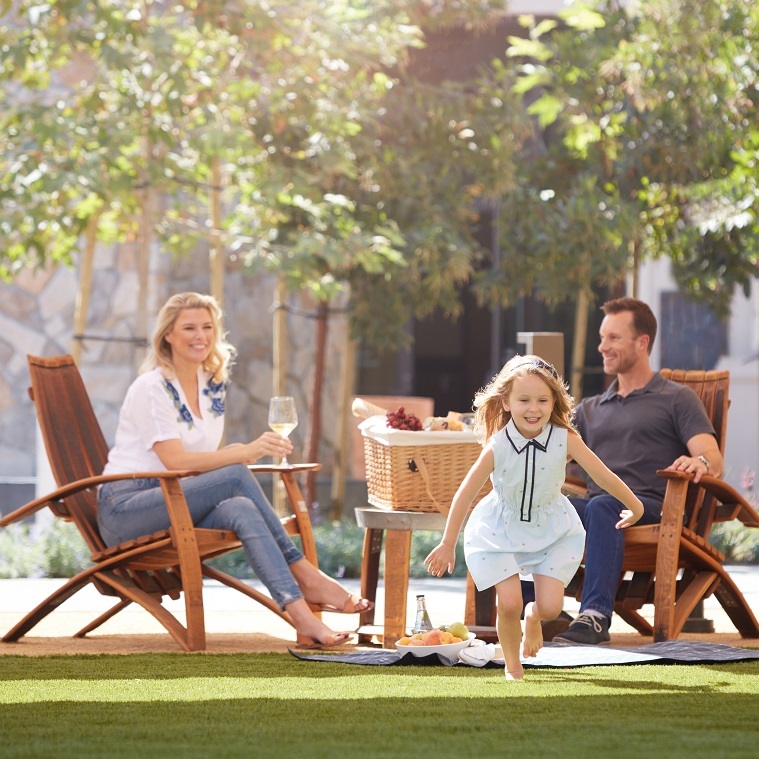 But, in recent years, wine country has had a change of tune when it comes to welcoming traveling families. Kid-friendly wineries and restaurants abound. Sonoma County hotels offer everything from safaris to robots, and Napa County hotels aren’t too shabby either. Click through the above gallery for Napa County properties that make it great to be a kid (and parent). Vista Collina, Napa: It’s easy to spend a lazy day by the resort’s heated pool and hot tub. Poolside cabana rentals are available for parents looking to splurge. Suites have full kitchens, but casual Fivetown Grocery makes it simple to grab food when kids are actually hungry. Families can sit at outdoor tables, or have a picnic on the expansive resort lawn. The Village’s eight wine tasting rooms and craft brewery are a nice perk for parents.